People often claim that HTTPS content is never cached by the browser; perhaps because that seems like a sensible idea in terms of security. In reality, HTTPS caching is controllable with response headers just like HTTP. 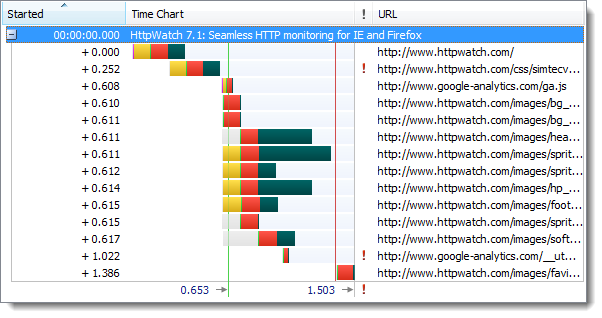 The slight caveat is that Firefox will only cache HTTPS resources in memory by default. If you want persistent caching to disk you’ll need to add the Cache-Control: Public response header. If you shop around you can find SSL certificates for about $ 10 a year or roughly the same cost as the registration of a .com domain for a year. The cheapest certificates don’t have the level of company verification provided by the more expensive alternatives but they do work with nearly all mainstream browsers. UPDATE: UCC (Unified Communications Certificate) supports multiple domains in a single SSL certificate and can be used where you need to secure several sites that are not all sub-domains. UPDATE #2: SNI (Server Name Indication) allows multiple certificates for different domains to be hosted on the same IP address. On the server side it’s supported by Apache and Nginx, but not IIS. On the client it’s supported by IE 7+, Firefox 2.0+, Chrome 6+, Safari 2.1+ and Opera 8.0+. See comment #4 and comment #5. 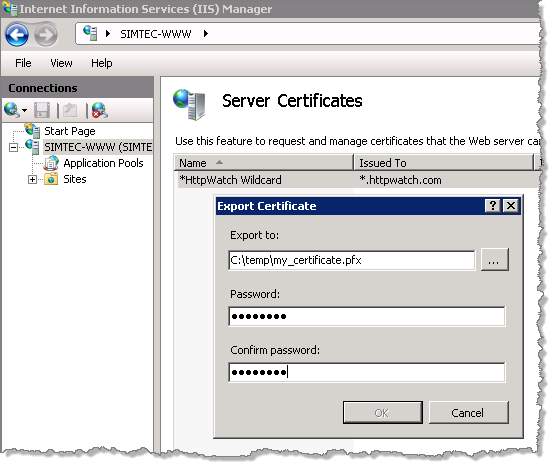 These steps are designed to ensure that the certificate is safely transferred to the web server and prevents anyone from using the certificate if they intercept any emails or downloads containing the certificate in step 2). The result is that you cannot just use the files from step 2) on another web server. If you want to do that you’ll need to export the certificate in other format. 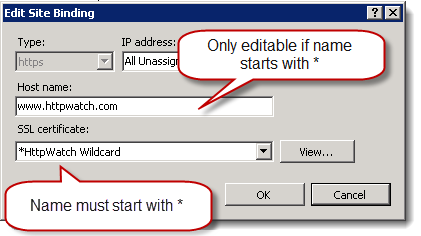 This file can be imported onto other web servers by supplying the password again. 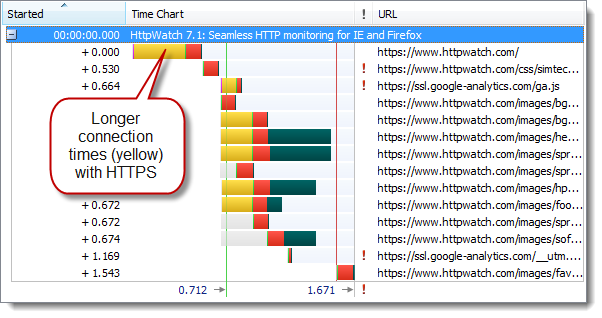 Using HTTPS isn’t going to make your site faster (actually it can – see below) but the overhead is mostly avoidable by following the tips in our HTTPS Performance Tuning blog post. The amount of CPU resource required to encrypt the data can be reduced by compressing textual content and is usually not a significant on servers with modern CPUs. The longer connection times caused the initial page load to be about 10% slower. 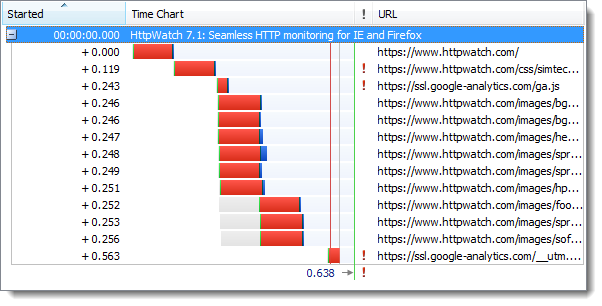 However, once the browser has active keep-alive HTTPS connections a subsequent refresh of the page shows very little difference between HTTP and HTTPS. It’s possible that some users may even find that the HTTPS version of a web site is faster than HTTP. This can happen if they sit behind a coporate HTTP proxy that normal intercepts, examines and records web traffic. 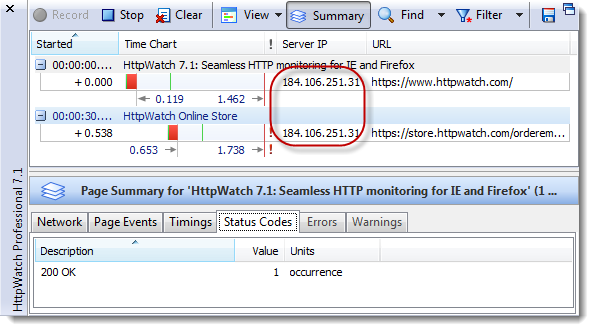 An HTTPS connection will often just be forwarded as a simple TCP connection through the proxy because HTTPS traffic cannot be intercepted. It’s this bypassing that can lead to improved performance. UPDATE: A blog post by F5 challenges the claim the CPU overhead of SSL is no longer significant, but most of their arguments are refuted in this follow up. Although, a hacker cannot intercept a user’s HTTPS traffic on the network and read their cookie or query string values directly, you still need to ensure that their values can’t be easily predicted. A hacker could use a dummy account to see how this cookie worked and find a recent value. They could then try manipulating the cookie value in their own browser to hi-jack other sessions with nearby session id values. 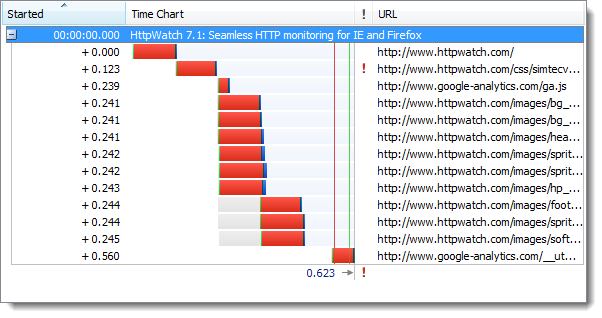 Query string values are also protected on the network by HTTPS but they can still leak their values in other ways. For more details see How Secure Are Query Strings Over HTTPS . This is a commonly held view. The theory being that HTTPS will protect the user’s password during login but HTTPS is not needed after that. The recently released Firesheep add-on for Firefox demonstrated the fallacy of this approach and how easy it is to hi-jack someone’s else session on sites like Twitter and Facebook. 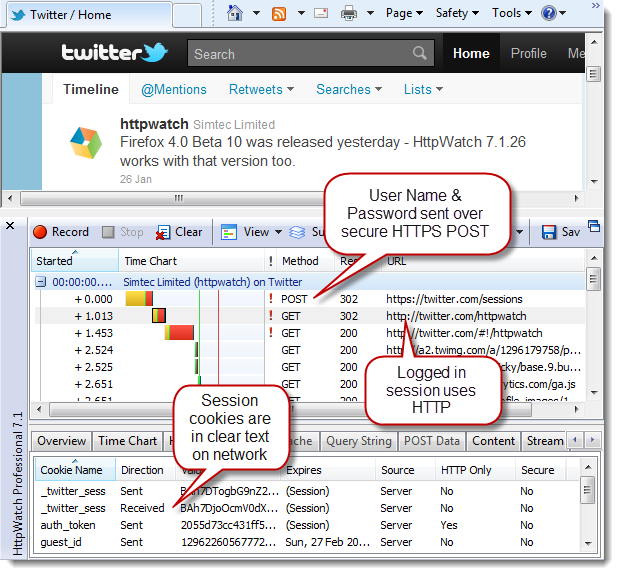 Potentially someone in a coffee shop with Firesheep could intercept your twitter session cookies and then hi-jack your session to start tweeting on your behalf. You can check SSL/TLS configuration our new SSL test tool SSLRobot . It will also look for potential issues with the certificates, ciphers and protocols used by your site. Try it now for free! So, according to you is https helpful for keyword ranking? 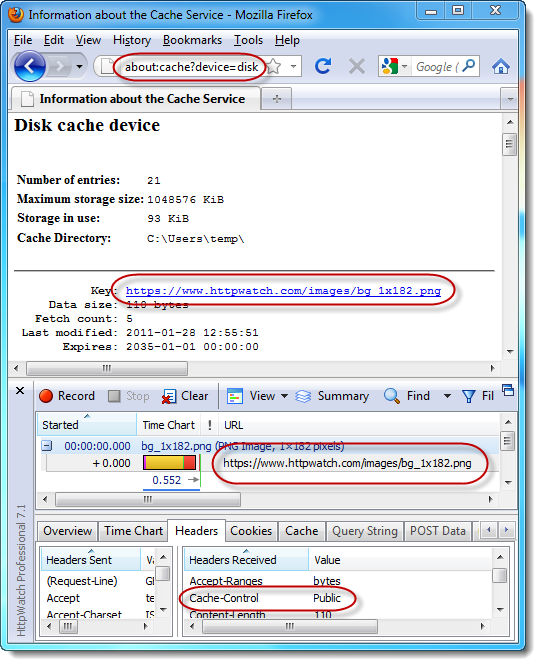 Well, regarding caching, it may well be true that browsers cache HTTPS requests, but what does not work in principle is the addition of an external cache. In Linux, if you define http_proxy or https_proxy, many applications will honor them, but whereas http_proxy will indeed keep a copy of the file and use this data for the next request, HTTPS proxies do a simple forwarding of the TCP connection. Which makes sense because any attempt to do something would constitute a man-in-the-middle attack. What some services do, if I understood it correctly, is to give the caches the right certificates, so that they can successfully impersonate the cached service. But of course it is not very common, and also not really secure. Services interested in distributing big blobs in a secure manner could have a HTTPS URL providing a HTTP link and a hash, a hash that will be checked after retrieving the file insecurely. This is indeed a nice challenge, if we could make HTTPS provide files that can be encrypted and are cacheable. So no, if you do a wget or curl with https_proxy defined, you cannot get any benefit.